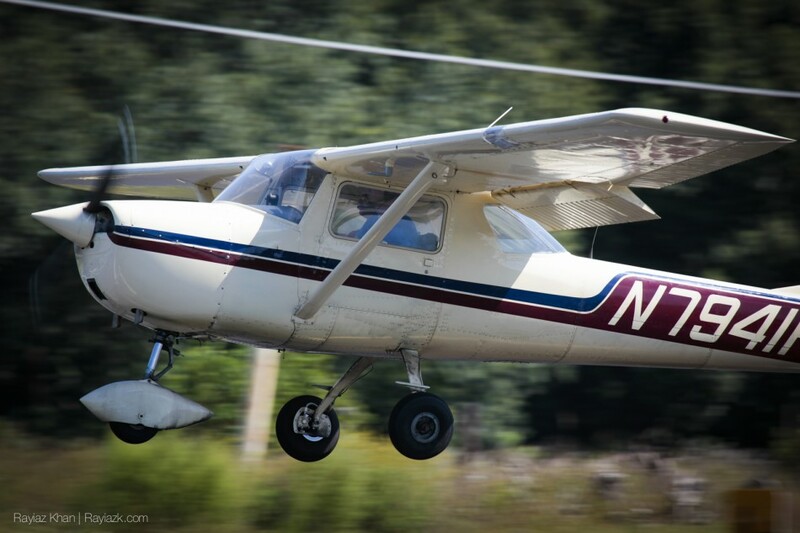 Mocha Creme, a Cessna 150, comes in for a touch and go landing at X04 Orlando-Apopka Airfield. 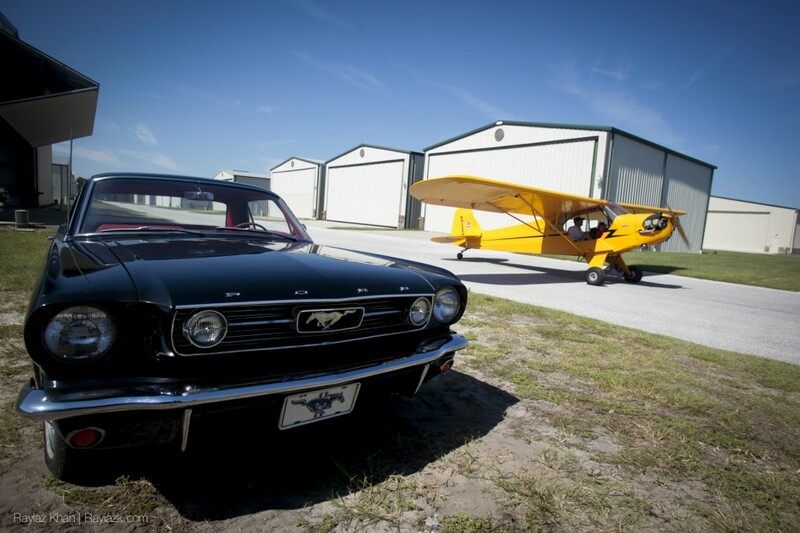 A J3 Cub taxis to the active runway at X04 Orlando-Apopka Airfield. 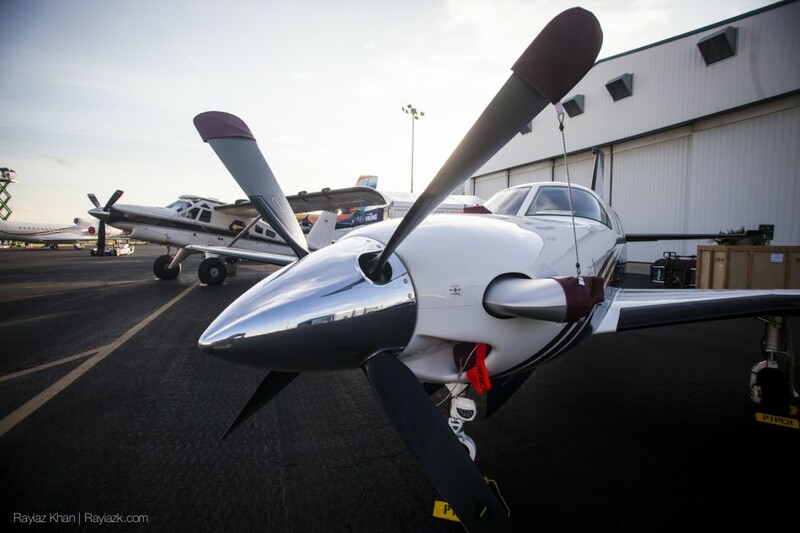 A pair of jets awaits a tug to be pushed into their display space at the static display at NBAA Orlando, 2014. 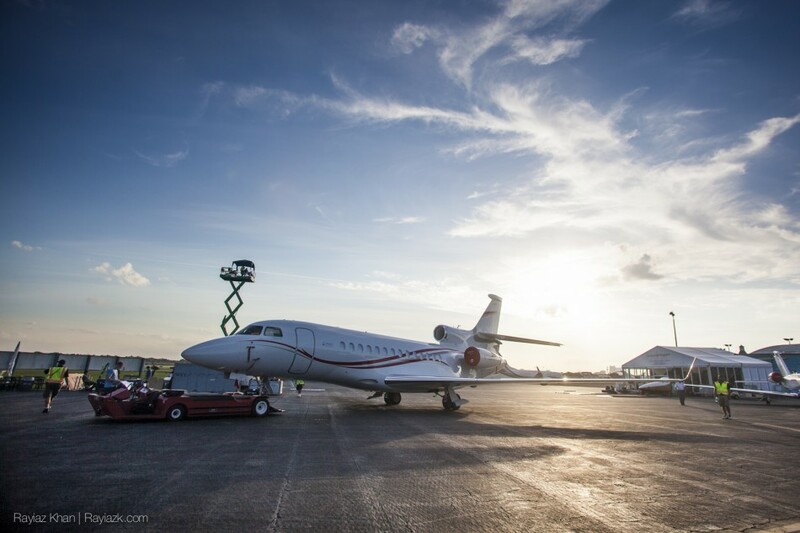 Workers position jets into place at the static display at NBAA Orlando. 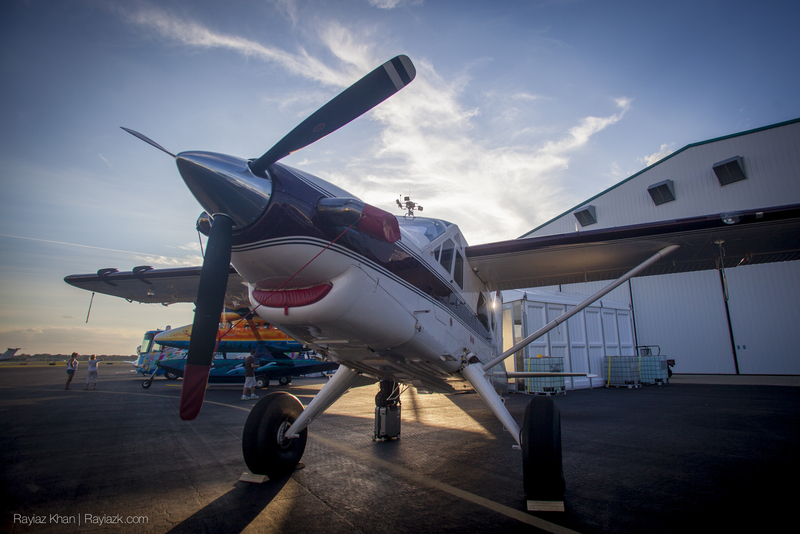 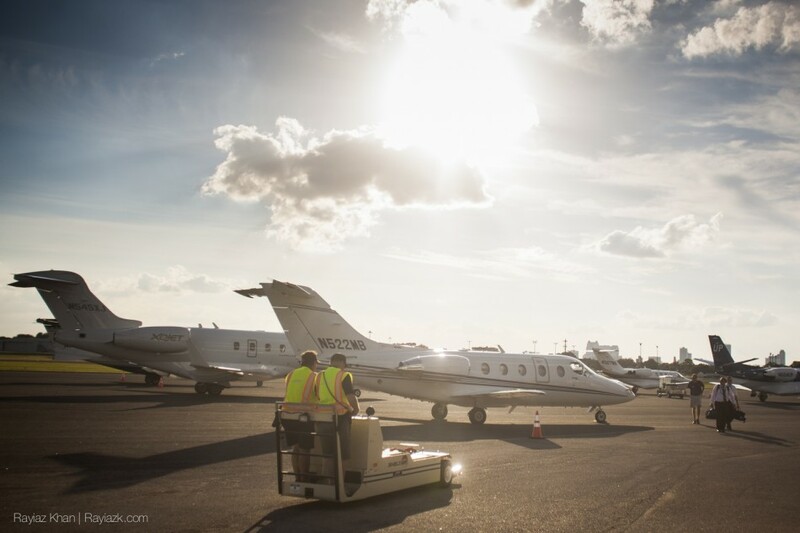 Planes are parked for display during the 2014 NBAA Orlando Convention. 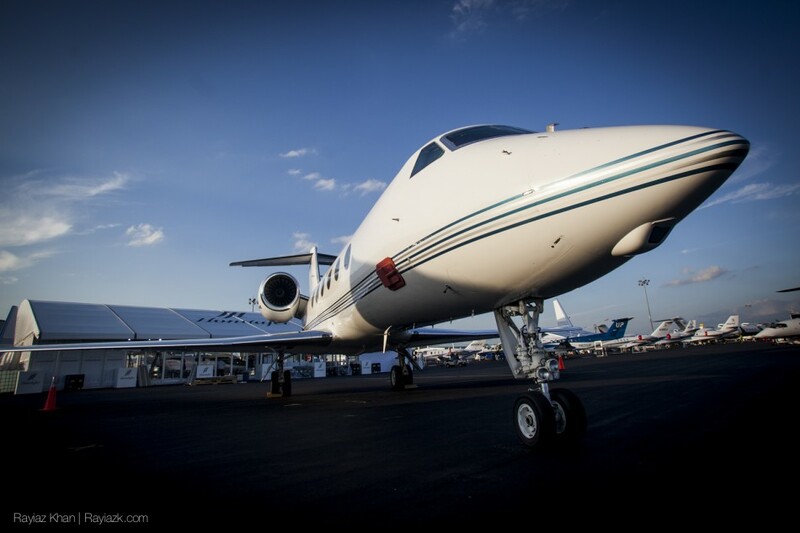 A Gulfstream G550 sits parked at the static display for the 2014 Orlando NBAA Convention.